In the late 1990’s we were living at Norman Park and I was looking for a project. 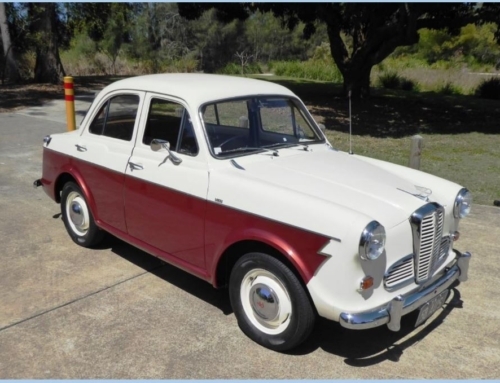 My son James tried talking me into doing up a version of the first car I had when I was younger, a 1946 Sunbeam Talbot 2.0 litre. I told him that they’d be extremely hard to find these days and thought little more of it. 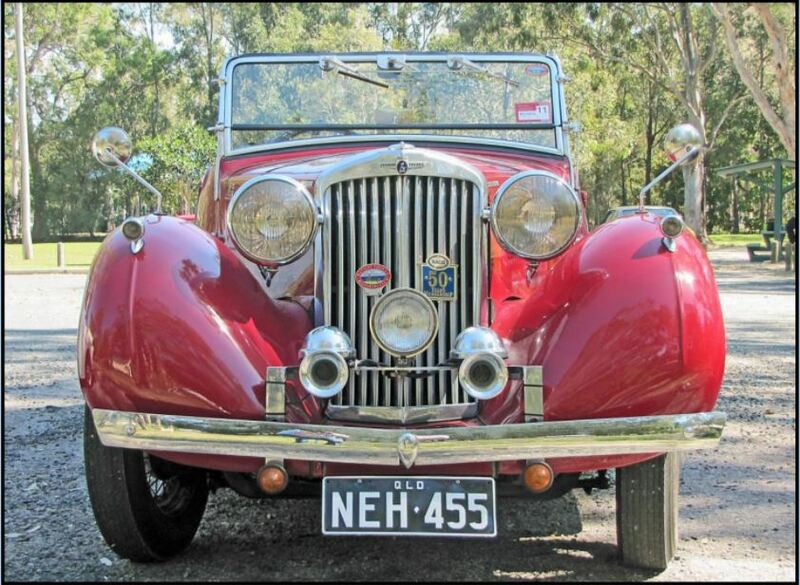 Then one day he came to me and said he’d found one in the Trading Post, supposedly 80 percent restored and located at Morayfield. 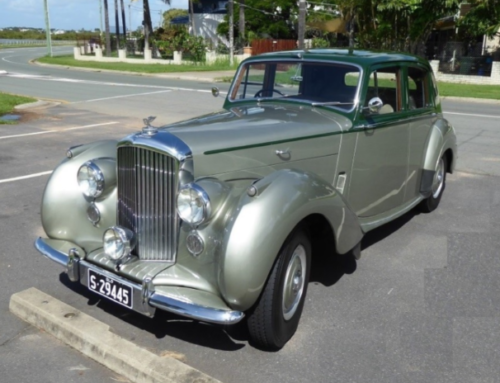 So off we went, found the address and asked the owner if we could look at his Sunbeam Talbot. He said “yes, but my car is not for sale”. We both did a double take and then showed him the ad in the Trading Post. He said “hang on, I’d better check with my wife”. It turns out they were moving and she had advertised the car as she didn’t want it going with them to their new place. The owner was very good about it and said “yes, I suppose I do need to sell it”. So we had a closer look. 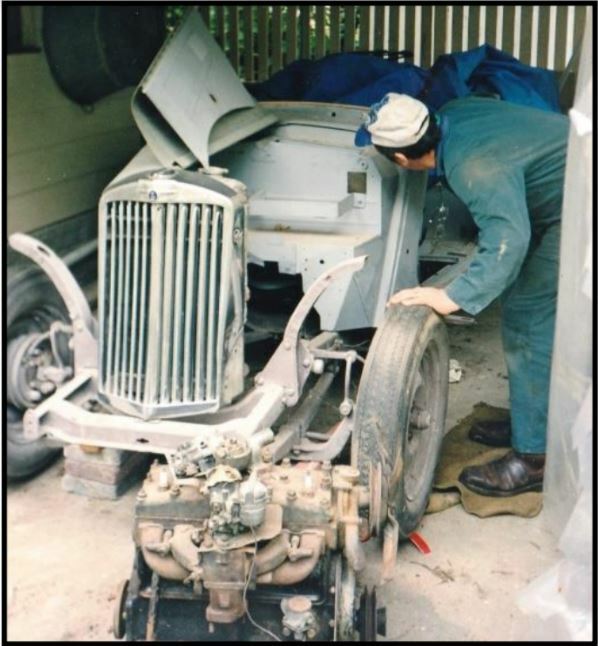 Our inspection revealed no floor, no gearbox and no motor in the vehicle: not quite complete. He proceeded to tell us that there were four motors, and we found the gearbox sitting under a mango tree … no top on it and full of water. For some reason I was a bit dubious at the time. 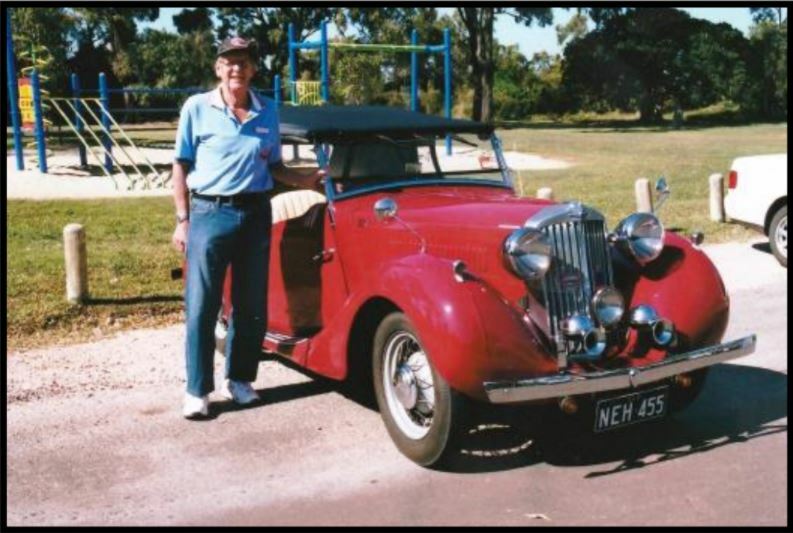 He told us it was an original Tourer but it turned out to be a cut down sedan. Anyway, I bit the bullet, bought it and took it home, along with sundry bits and pieces. We pulled it down, stripped it right back to the chassis and started the long task of doing it up. The body was good but the fuel tank was missing a vital part – its bottom. It turned out that two of the motors were only good for boat anchors, so we took the two useful engines to Coorparoo Engineering, where they pulled them down and chose the best one to restore. Unfortunately it needed new pistons and valves. Replacement valves were not easily found so it now has cut down and refaced Corolla valves. I was told that the wiring harness was complete, but considering it looked like a bunch of spaghetti (and not too appetising at that), we had a new harness made by an auto electrician at Thornlands. 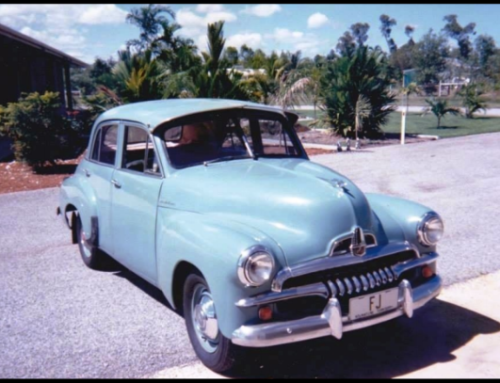 The gear box was taken to Barry Ross at Palmwoods to be repaired. The main shaft needed replacing, done by a mining engineering company at Archerfield, and the cluster gears needed refacing, which was done at Milton. Barry also gave me some parts that I was missing, including a gearbox dip stick, front bumper bar, rear bumpers and door handles. The roof frame wasn’t right and we needed to reshape the bows to fit. The windscreen was not from a Talbot and had no glass so that needed sorting out too. Staying with the sporty look, we removed the old Bakelite dashboard and replaced it with a cedar dash panel from timber that I had on hand at the time. The instruments were repaired by Otto Instruments at Salisbury. The car had full disc wheels as fitted on the sedan. 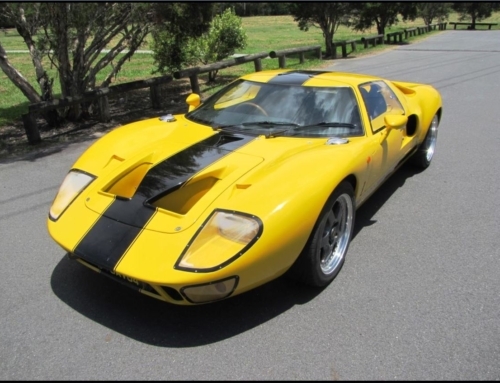 To achieve the right look we took them to Mike Warners at Caloundra, who converted early Hillman wheel centres to the spoked version found on the Tourer. A new floor was installed, and then we had to find some seats. Genuine Talbot seats were impossible to find but we found some at the wreckers that fitted – they are apparently early Renault. Then it was up to John Davis at Wynnum to re-upholster them. We had now reached the point of painting the car. I thought I’d need a trailer to get it to and from the painters, but managed to get a police permit to drive it from home and back again. I took off all the bright-work and drove to the painters. When I got there, the painter said I’d have to disassemble the car so he could work on it. Naturally when he’d finished I had to reassemble it before I could drive it home. There were still a few missing parts such as the headlight stalks and headlight glass clips, so I made some out of timber and took them to Brisbane Foundries at Arana Hills to be cast in brass before chroming. The car was finally registered in November 2002. I’ve had virtually trouble-free motoring with the Talbot since then.